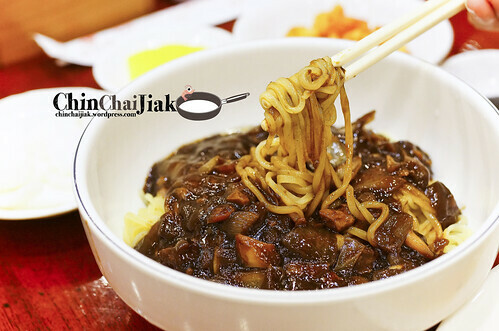 Jajangjyeon is the most popular Chinese-Korean dish among the Korean Crusines. I later come to realise that Jajangmyeon is actually not readily available in most Korean restaurants. 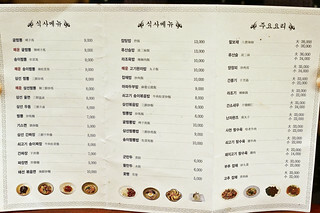 It’s mostly found in the Chinese restaurants in Korea. 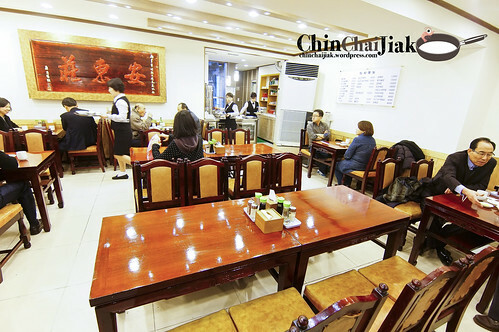 And Andongjang, is one of such Chinese Restaurants in Seoul. 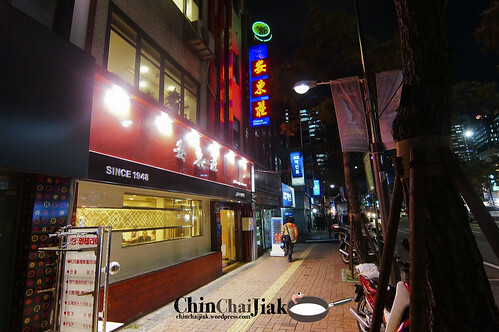 Andongjang is the oldest Chinese Restaurants in Seoul. It had had been around for 65 years and their history started way back to year 1948. Andongjang specialised in two kinds of noodles – Guljjamppong (spicy noodle soup with oysters), and Jajangmyeon, which I only tried the later. 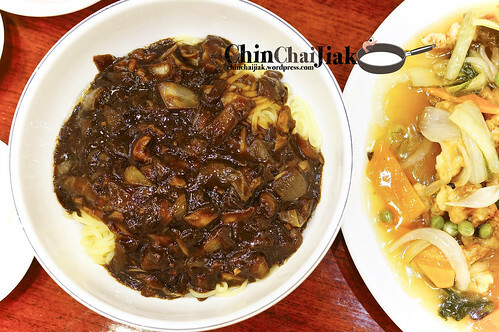 In Singapore, Jajangmyeon can be found in many eateries , but it’s not easy to find a good one. I had one really good Jajangmyeon at The Central and till date, that is the best one that i ever had in Singapore, and I am dying to find out how does it compare with a true blue Korea’s version. I ordered the Jajangmyeon at w$5000 (about S$6.00) and that is really affordable comparing to Singapore’ s price. Jajangmyeon is always served with radish (Danmuji 단무지), sliced raw onion and accompanied with a small plate of Chunjang (춘장) sauce. 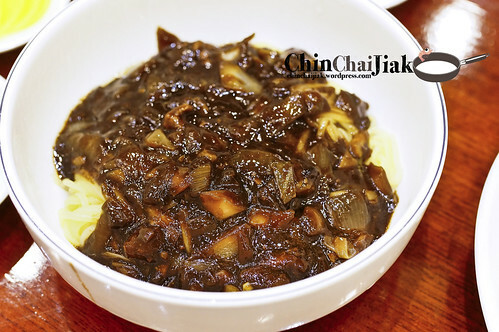 Chunjang is the raw dark soybean paste which is made from roasted soy beans and a little bit of caramel while Jajang is the stir-fried version of Chunjang that contains all other ingredients like onion, ground meat, carrot and potato. All noodles were handmade and the texture of the noodle is chewy, mid-soft but not soggy. The thick Jajang sauce stick and coated the noodle evenly as i was stirring the noodle with much anticipation. The Jajang is really flavourful and i can taste the bursting sweetness of the melted onion and carrot. The only small problem is – it’s not salty enough. 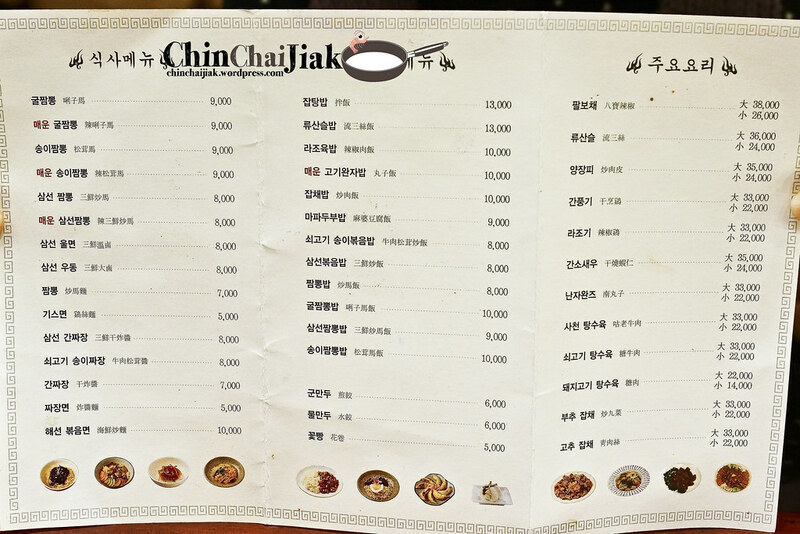 I was a little disappointed initially until i realized why a separate plate of Chunjang is served. The taste is right back on track after mixing in the small plate of Chunjang. I guess it’s provided so that diners can flavor the noodle to their own taste preference. And how does a true blue Jajangmyeon compare to the one i had in The Central? It is comparable, and in fact very similar in taste. This further convinced me that the Jajangmyeong i had in The Central is to a certain quality, but only at 2.5 times the price. LOL. Tangsuyuk, or Korean version of sweet and sour pork is another popular Korean Chinese dish. 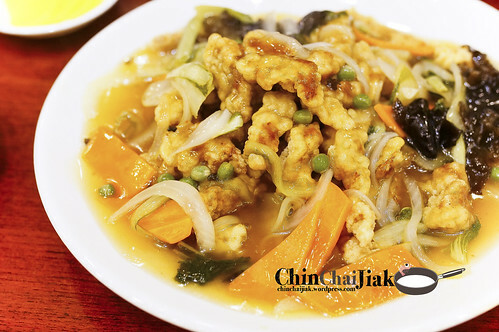 This dish consist of a pile of battered, crispy fried pork strips in a sweet, apple & vinegar based sauce. 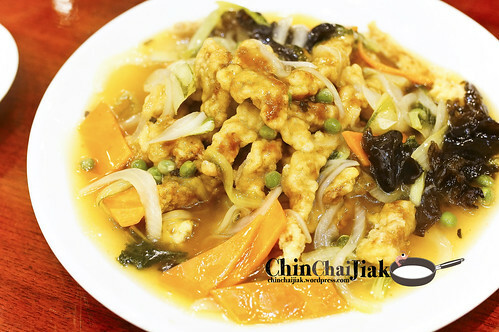 Unlike our Singapore’s version, there is a tinge of ginger taste in the batter and it taste less sweet and more sour than our Sweet and Sour Pork. Andongjang’s version is really crispy and is able to retain it’s crispness despite being soaked in a pool of sweet and sour sauce. A small serving cost me W$14000 (about S$16) but it’s still almost half the price compare to Singapore. A small serving is well enough for two pax to enjoy. To be frank, i still prefer our Singapore’s Gou Lou Yok (Sweet and Sour Pork in Cantonese) as the texture is slightly more enjoyable in cubes rather than in strips. But for Korean Drama/Variety fans out there, how can you not try this Tangsuyuk? It’s always featured in those shows and it looks absolutely mouth watering. Putting Singapore’s version of sweet and sour pork aside, i enjoyed this Tangsuyuk a lot and don’t mind having this again if there is a chance. So the question is – the older the restaurant, the better the taste? Not always i would say, but so far this theory was proven right for Seoul, be it the rice cake from Mabongnim Halmeoni Tteokbokki (operates for 60 years) or the boiled chicken soup from Jinokhwa Halmae Wonjo Dakhanmar (operates for 35 years), they did not disappoint. This theory was proven right again by Andongjang (operates for 65 years). How can one not eat Jajangmyeon while he is in Seoul? 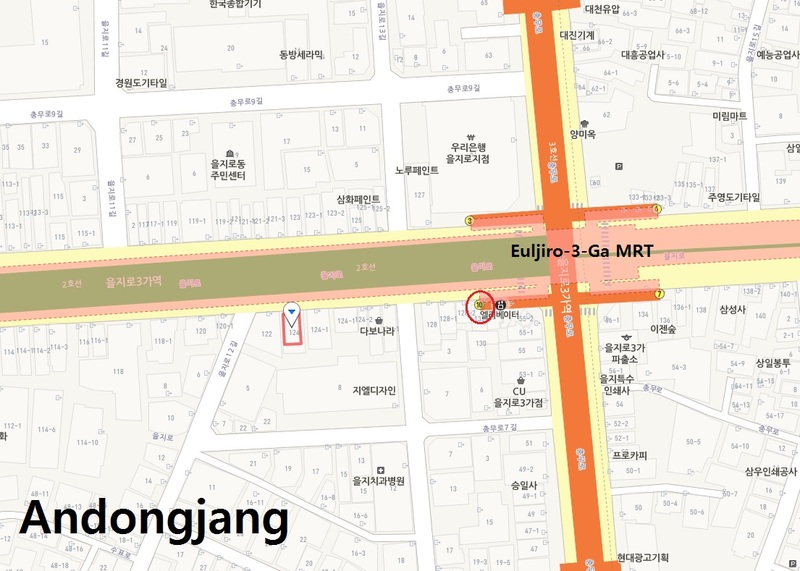 If you want to have a good bowl of Jajangmyeon in Seoul, you may want to consider visiting Andongjang. And the best part? It’s super super accessible and easy to find. Andongjang is super accessible. The direction is super straight foward and there is no need to make any turn at all. 3. Tada~ there you are! Posted in Dishes - Jajangjyeon, Dishes - Tangsuyuk, Good For - Casual Dining, Location - Euljiro 3(sam)-ga, Type - Korean Chinese Restaurant.